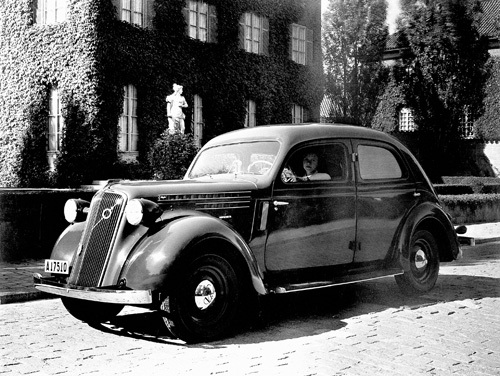 1937 – Volvo PV52 at Villa Bonnier on Nobelgatan 13 in Diplomatstaden, Stockholm. 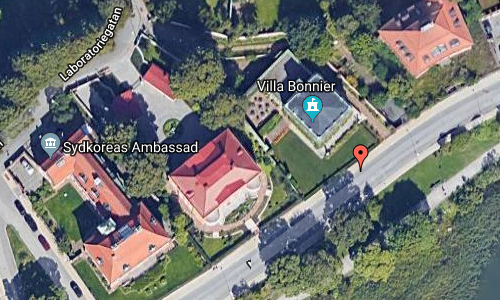 Villa Bonnier is located on Nobelgatan 13 in Diplomatstaden, Stockholm. 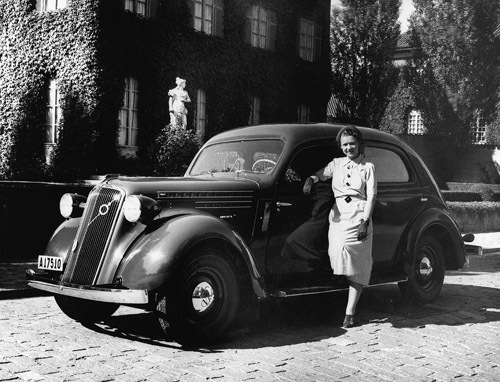 The Volvo PV52 shown here with the daughter of manager Östergren of the Mjölkcentralen in Stockholm. This dark blue PV52 was the 25.000th Volvo car produced, delivered on June 30 1937. Villa Bonnier was designed by architect Ragnar Östberg, and built in 1927 for the book publisher Åke Bonnier (1886-1979) and his wife Eva Bachner (1888-1977). 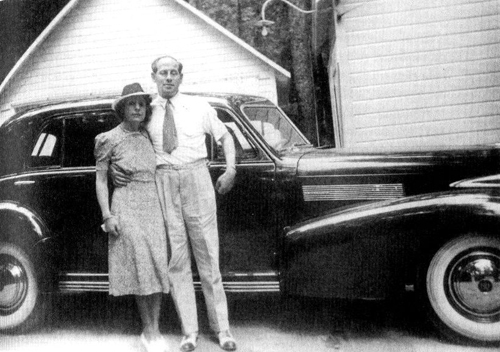 Bonnier acquired the undeveloped plot of 1923 by bankruptcy of S. Hulth. 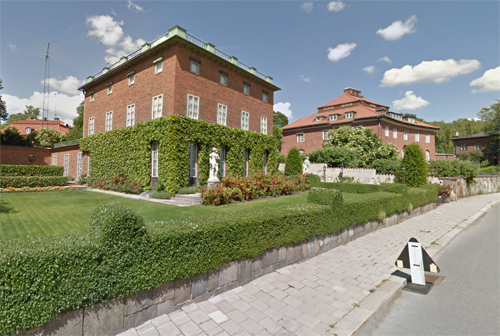 The villa was testified after the couple’s passing to the Swedish state of 1981, and is today served by the President and the Government of Representation. The property is classified as state building memorial. Villa Bonner’s facades are made of red brick. The house has been designed tightly as a castle with a chilling appearance. The almost flat roof ends with a balustrade. The few exterior decorations consist of copper details over the top window and a well-framed screen roof over the main entrance. The building was ready shortly after Stockholm City Hall, also designed by Ragnar Östberg, and you can find some similarities with this building. The interior was designed to a large extent by Eva Bachner himself together with the artists Bertil Lybeck, Yngve Berg and Hilding Linnqvist, and the conservator Alfred Nilsson. Interior murals were performed by Isaac Grünewald. Bachner was inspired by the prevailing style ideals in his native USA, and the national romance Östberg deserted all responsibility for the interior. The garden was designed by Östberg and the garden architect Gösta Reuterswärd in 1925. 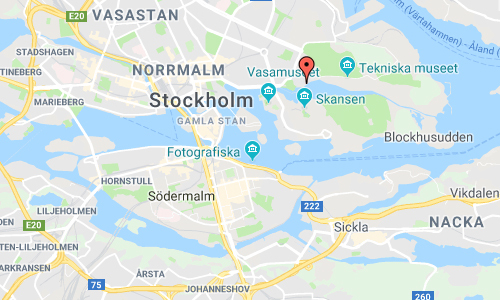 Diplomatstaden (Swedish for “The diplomat city”) is a neighbourhood in the Östermalm district in central Stockholm, Sweden. As the name suggests, the neighborhood is the home of many embassies and ambassadorial residencies. Diplomatstaden encompasses the area facing the Djurgårdsbrunnsviken bay which is located south of the easternmost part of Strandvägen. It is an exclusive residential area composed of a group of brick villas built mostly in the 1910s and 1920s. 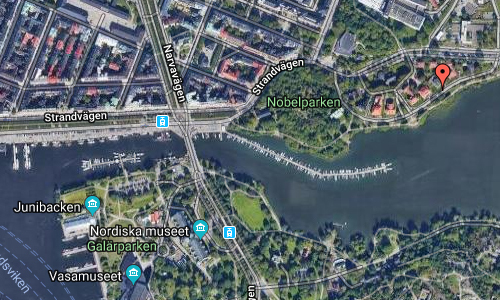 The municipal council had scrapped its plans for a Nobel institute in the neighbouring Nobel Park (Nobelparken) in 1906. Instead, city planning authority Per Olof Hallman designed a city plan for the area in 1911 and 1914. His plan strictly specified what materials should be used and detailed much of the exterior shapes of the buildings. Additionally, the irregularly shaped sites, over time increasingly criticized by involved architects, strongly dictated the design of the buildings. Most buildings facing the street passing north of the area are surrounded by walls, while open gardens surround those facing the southern waterfront. Hallman placed the villas in a semicircle around the English Church (Engelska kyrkan). Designed by James Souttar in 1863, the church was originally located at Wallingatan north of the Norra Bantorget square, but was moved brick by brick to its present location in 1913. 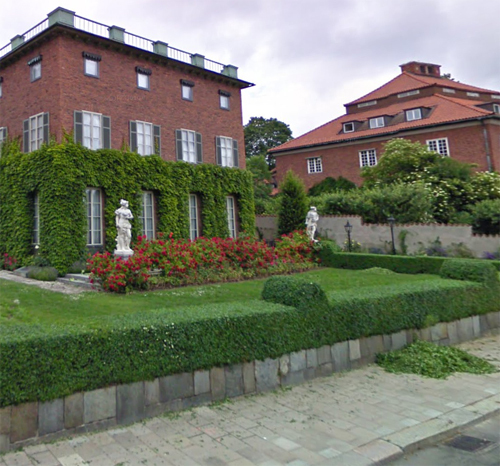 The first villa to be built was banker Philip Geber’s (5, Nobelgatan), designed by Ragnar Östberg in 1913. Two years later, United Kingdom had their embassy built (7, Nobelgatan) to the design of British architect Sir Richard Allison.